With over 20 years of experience, extensive skills, high quality products, advanced technology and incomparable knowledge, Hartnett Flooring continues to take the top spot in the flooring industry in Melbourne. If you need any flooring services, we’re the company to call in Melbourne. We are insured and licensed and offer high quality flooring services to both commercial and residential customers in Melbourne. 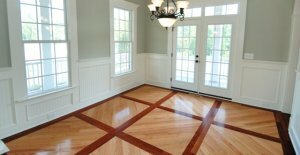 We aim to deliver the best possible flooring services that will lengthen the life, enhance the look, and add beauty to hardwood floors across Melbourne. To achieve this, every member of our staff has extensive training and continuing education to keep them up to date with the latest techniques and technologies in the industry. Our flooring experts are caring and sensitive to your needs. We respect your home and take good care of your floors and furniture as if they were ours. Our service is as minimally invasive as possible to ensure the comfort and convenience of you and your family. Our company is known not just for the quality of our services but also for our unparalleled customer care. Our flooring experts will strive to answer all questions, address concerns and provide valuable information to all of our clients. If you wish to restore, repair and maintain your flooring in the most affordable, professional and convenient way possible, all that you have to do is call us! Contact us to enjoy a free, comprehensive on-site estimate.